Top public affairs professionals have lamented the 'dreadful' campaigns run by both sides of the Alternative Vote debate, but agreed that the No campaign was the most effective. 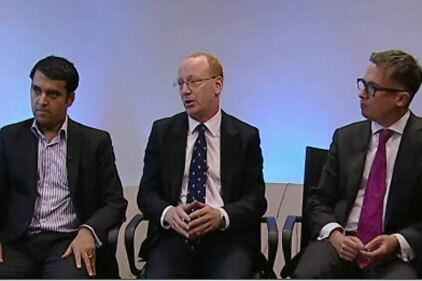 As the country went to the polls this week, Cicero Consulting director Iain Anderson, Insight Public Affairs director John Lehal and Lexis Nexis head of comms Simon Goldie took part in a wide-ranging CIPR TV debate. The discussion covered the AV vote and the local elections in Wales, Scotland, Northern Ireland and the vast majority of local authorities in England. The panel also discussed whether defeats in AV and the local elections mean Liberal Democrat leader Nick Clegg’s position was vulnerable. Goldie said: ‘Clegg is under pressure already, but who would want the job right now? People are perhaps building up platform to challenge him but that could be a big mistake. Don’t write Clegg off just yet." But Anderson was less certain about Clegg’s prospects. He said: ‘I think he has to reassert his leadership within the Liberal Democrat party, and quickly. We’ve already heard this afternoon some people are manoeuvring quite overtly for his job. Meanwhile Lehal was critical of Labour’s strategy in the run-up to Thursday’s elections.